Monday 11th – Friday 15th March – Patchwork for Fun FULL, please let us know if you would like to add your name to the waiting list. Patchwork and quilting, by hand or machine, is a fun way of making useful or decorative items. The group works co-operatively, suggesting projects to share and bringing their own projects to ‘show and tell’ and perhaps get completed. There is plenty of experience to guide anyone who hasn’t tried this before. Gillian is a Quaker and has sewed for many years: she enjoys the challenge of working out how to cut and piece fabric in effective ways. Course starts 5.00pm Monday and finishes 9.30pm Thursday evening. Monday 25th – Friday 29th March – Musical Encounters CANCELLED, sorry. Using familiar (and sometimes unfamiliar) folk songs, spirituals, and popular music of the 20th century, entertainer and educator Jeff Dershin will lead us on a fun filled encounter with music. Instrumentalists are encouraged to bring their instruments, singers their voices, and listeners their ears for an exploration of why music has the power to be simultaneously playful, happy, sad, angry and inspiring. Jeff signed his first recording contract with Mercury records at the age of 18 and was educated at Binghampton University and Julliard. He has spent 4 decades as an entertainer and teacher, toured Europe and the US and is delighted to be visiting England again! Course finishes 1.00pm Friday. Whether you are a beginner or a more experienced writer, this course will inspire you. We’ll look at the styles, techniques and writing routines of some well-known authors (of both fiction and non-fiction) and see what we can learn. There will be tips on effective writing and the opportunity to put these into practice. With discussion, syndicate workshops and individual writing exercises you’ll be able to ask questions, share experience and develop your own specific writing interests. Tony is a member of the Society of Authors, a long-standing contributor to Writing magazine and The Dalesman and has written seven non-fiction books. Course begins 5.00pm Monday and finishes 12.30pm Friday. Monday 8th – Friday 12th April & Monday 7th – Friday 11th October – Boot, Boat and Goat Full in April but several places still available in October. Visiting various parts of the Lake District by minibus, this holiday is suitable for those, both able and less able, who would welcome the companionship of a small group. There will be short, gentle walks and a cruise on the lake every day. We visit a Quaker Meeting House and old churches along the way. Stout footwear and suitable clothing will be required. All excursion costs included. Course finishes Friday with breakfast. Course finishes Sunday 12.30 pm. A walking holiday aimed at people who are new to the Lake District. Participants will need to have a good level of fitness, some of the walks will involve steep and strenuous sections. We intend to start with a gentle walk and end with a strenuous all day walk, depending on weather conditions and capabilities of participants. Robin is a Glenthorne Trustee and has led many walks in the area. A practical course of informal workshops sharing traditional handicrafts using recycled/vintage fabrics and natural fibres – wool, silks, linen – to make new, unique textiles. Jenni is a Quaker and a textile worker and teaches handcrafts. Course starts 5.30pm Monday and finishes 12.45pm Friday. We will introduce the practice through exercise, meditations and the teaching of the theoretical and philosophical aspects of Tai-Chi and Chi Kung. Most of the sessions are practical, with body and mind exercises, indoors and outdoors in beautiful surroundings. Please bring suitable clothing and shoes for indoors and outdoors. The retreat will be suited to novice and skilled students from all disciplines and most backgrounds and ability. Kim he is a Quaker and has had a passion for practising and teaching the art of Tai Chi and Silk Reeling for 30 years. As Quakers we often speak of being on a spiritual journey, but how far are our real-life journeys spiritual? This course is about reviewing the way travel has become an everyday commodity and often something to be endured rather than enjoyed. We look at how our everyday travelling fits with our spirituality and how we might better nurture our spiritual life in relation to the way we journey. Ben is a Quaker author and academic. He gave the Swarthmore lecture Open to transformation and has written widely on the spirituality of travel. Course finishes Sunday 1.00 pm. Monday 27th – Friday 31st May & Monday 2nd – Friday 6th September – Circle Dancing FULL, please let us know if you would like to add your name to the waiting list. This course welcomes people with experience as well as newcomers to circle dancing. It is an inclusive form of community dancing where no partners are required. The dances we do are drawn from many countries and cultures. They are always walked through before dancing. We dance for our pleasure and enjoyment in a supportive group with no pressure to ‘get every step right’. The pace of the dances varies from lively to meditative and leaves participants with a sense of belonging, joy and inner peace. The afternoons will be free to explore the delights of our surroundings. Finishes 12.30 pm Friday. Join Hilary in the beautiful scenery of the Lake District to explore the Alexander Technique and Walking. We will look at our skeleton through anatomy and movement discovering a more accurate map of ourselves. In addition, we will look at the Principles of the Alexander Technique in a practical, fun and experiential way. This will help you improve your posture, de-stress, ease back ache as well as move with less effort and tension. We will also apply the Alexander Technique to walking in the lovely gardens locally, so bring your walking shoes and poles if you have them. Course finishes 12.30 pm Friday. A perfect opportunity to deepen your experience of Mindful Meditation over this weekend retreat. These practises are suitable for all practitioners of all abilities, especially beginners. Adam has a twenty year full time, international experience of practicing and teaching mindful meditation. Adam is a former Buddhist monk and the founder of Mindspace. He has been teaching Mindfulness since 1994, beginning at a Tibetan monastery in the Himalayas. This is a knitting holiday/retreat in the Lake District open to all knitters with some degree of competence. 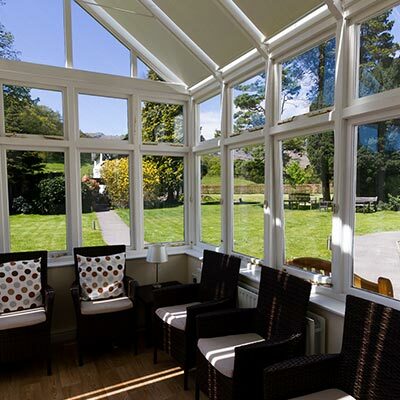 There is some downtime too for rest, relaxation and exploring the beautiful surroundings of Glenthorne. Hilary is a Quaker who promotes knitting as therapy. Course starts Monday 4.30 pm and finishes Friday 12.00 pm. The course will aim to show participants how yoga practices can be used to connect with and dwell in the inner realm of peacefulness. We will use a combination of movements with breath practices, chanting (singing Sanskrit words), deep relaxation and meditation to access this space and take time to really savour how it feels. All practices are optional and each student is encouraged to work at their own pace. Leah has been teaching for over 15 years. Her focus is on allowing space for students to feel into their bodies so they can fully experience each practice from the inside. Her influences include, BKS Iyengar, Vanda Scaraveli, Donna Farhi, Adhyashanti, Ekhart Tolle, Penne Chodron and Tara Brach. Jesus appears to be in conflict with the religion of his time. He breaks the law, cleanses the temple, criticises the scribes and pharisees. But he also commends faith and demonstrates a life of prayer. By looking at how Mark presents these aspects of Jesus’ life and teaching we consider what we can learn for our own religious and spiritual practice. Janet taught religious studies in the University of Cambridge. She is a trustee of Churches Together in England and gave the Swarthmore Lecture What canst thou say. Carrying anger and hatred around damages both one’s own life and that of those around one. Becoming forgiving through the spirit, provides healing and enables one to move out of the past and into the present. Marian’s inner journey, writing, speaking, prison work (www.theforgivenessproject) is in response to the murder of her sister Lucy. She and Barbara will offer a safe space in which to explore and encourage the vital, freeing experience of becoming forgiving in everyday life. Marian and Barbara will work together to encourage and enable this experience. Course starts Friday 6.00pm, finishes Sunday 12.30 pm. Once again, there is an opportunity to join with others in song! This light-hearted weekend welcomes all voices that love to sing! Express the essence of your being and join in easy harmony for an uplifting time. Interspersed among these sessions, you may feel the peace of your soul through guided meditations that complement the singing perfectly. No need to be able to read music or have any previous experience of singing. Songs will include unaccompanied rounds and very simple part songs from a range of traditions and cultures. Meri has been been leading two small community choirs for 8 years. She is a vibrant and energetic teacher who can help anyone who thinks they can’t sing to find their voice. Course starts Friday 5.30 pm and finishes Sunday 12.30 pm. Monday 29th July – Friday 2nd August – Sketching & Painting the Cumbrian Landscape This course is now full. This course is a superb opportunity for all artists of different levels and ability, working in pastel, watercolour, acrylic and mixed media techniques. During your holiday, Sue has organised an itinerary to enjoy the experience of outdoor locations within the beautiful Cumbrian landscape. Indoors, you will work from sketches and notes to create beautiful and exciting paintings. Course starts on arrival day with a demonstration at 5.00 pm. Spirit’s motions in our own day. It can also help us better understand the rich store of Quaker literature and past lives. We will use reading, discussion, worship and art to delve into this language and our own spiritual lives and Meetings. Brian and Darcy have travelled extensively among Friends. Brian has published A language for the Inner Landscape and Pendle Hill booklets Getting Rooted and James Naylor Speaking. Yoga tailored to your needs. Postures, flowing sequences, breath work and relaxation. A fun way to better health. Course finishes Thursday evening. An exploration of the local area and its magnificent trees and landscapes with gentle walking, standing and pausing to appreciate and better understand the plants and their setting. 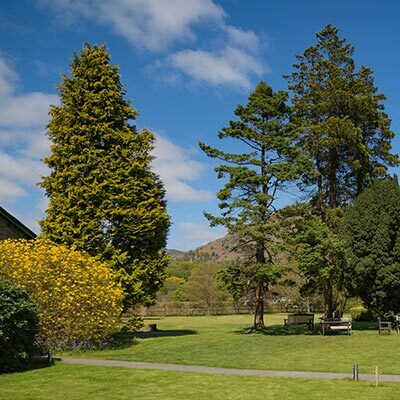 A visit to Rydal Hall’s trees and gardens is included. Letta is a lecturer in horticulture and garden history. Course finishes Sunday 12.30 pm. Monday 26th – Friday 30th August – Sketching & Painting the Cumbrian Landscape FULL, please let us know if you would like to add your name to the waiting list. Quaker faith and life are based on experience. Fox said: “This I knew experimentally”. We will look at the writings of early Friends, put their words to the test and see if the practice of waiting in the Light they describe can be a reality for us. The experience can be searching, powerful and transformative.  We will reflect on what part this Quaker discipline can play in our lives. This course is suitable for who are new or familiar with the Experiment with Light practice. We will be able to do the meditation twice during our time. Details as Monday 27th – Friday 31st May. Friday 6th – Sunday 8th September – Where Do We Come From? Where do we come from? Who are we? Where are we going? The title of Gauguin’s painting invites consideration of essential questions of religious life. We will immerse ourselves in a spiritual understanding of the new universe story being revealed by contemporary science. In experiencing our long evolutionary journey, we can discover a spirituality born of this age. Alex is a Quaker author/educator and gave the Swarthmore Lecture A Faith to Call Our Own and co-authored Universe as Revelation. Meri is a vibrant energetic teacher who leads weekends on song and silence to her express her spirituality. We will share our experience of stillness and nature, exploring ways of going deeper together. In the mornings there will be mindful short walks in atmospheric and beautiful parts of the Lake District (via mini bus), meditations and time for reflection and also fun! There will be opportunities for individual spiritual accompaniment and free time for artwork, craft or journaling. in the afternoons each day. Terry is the Quaker Friend in Residence at Glenthorne and a registered counsellor, Margaret is Quaker and an experienced facilitator with many years’ experience accompanying people dealing with change. Course finishes Friday 12.30 pm. We will focus on awareness: an awareness that will deepen our understanding of ourselves and of the way we relate to others. We aim to give ourselves greater clarity in the way we deal with the issues with which we are faced. Our guidance, inspiration and encouragement will come from our interactions with each other and from wisdom teachers old and new. We will uphold the guiding spirit within. We may use simple art materials as an aid to deepen awareness. Roswitha‘s Quaker path started some 60 years ago and she is inspired by early Friends and the mystics of all faiths and times. Her work has been in teaching, counselling and peace building. She has worked in many different countries including Bosnia, Sweden, Serbia, Russia, Germany and the UK. Zen practice takes us to the very heart of mindfulness practice. We will gain the opportunity to be fully in the present moment and be able to take home an experience of peace to integrate into our daily life. Adam has a twenty year full time, international experience of practicing and teaching mindful meditation. Adam is a former Buddhist monk and the founder of Mindspace. He has been teaching Mindfulness since 1994, beginning at a Tibetan monastery in the Himalayas. Keeping well in later life is about more than exercise, eating and entertainment. Things once meaningful may no longer inspire us. We may feel lonely or want more time for ourselves. Old friends may drift away, die or simply not be able to meet us. How can we make living longer feel like the achievement it ought to be? By exploring philosophy, literature, music, science, art and film, this course will share potential inspirations for later life and draw on the rich Quaker sources and other books by those who have walked this path before us. Rhonda works in education for well-being, older people and end of life care. She wrote her Masters dissertation on communication for dementia carers and is a member of the Quaker Fellowship for Afterlife Studies. Course finishes 12.30 pm Friday. Friday 18th – Monday 21st October – Sketching & Painting the Cumbrian Landscape FULL, please let us know if you would like to add your name to the waiting list. Details as Monday 29th July – Friday 2nd August. Monday 21st- Friday 25th October – What has Wordsworth to offer us today? Wordsworth’s poetry offers strong feeling and sensibility combined with rich meditative thought and spiritual awareness. His openness to mystical experience in its very broadest sense strikes a chord with us today as he moves beyond conventional labels to find the deep places within himself. Our sessions include an opportunity to explore a fresh, in depth look at the Immortality Ode, Tintern Abbey, Michael, parts of The Prelude and The Excursion. Course finishes Friday 12.00 pm. Details as Friday 10th – 12th May. An exploration of the place of mysticism in the Quaker tradition, from its beginning to the present time. A particular focus will be the life and work of the American Quaker, Rufus Jones and the subsequent rise of liberal Quakerism. The weekend will also be an opportunity to explore and share our personal experiences of mysticism and its relevance for us today. Jan has had a lifelong interest in mysticism and founded the charity Lifelines, whose members correspond with prisoners on death row in the US. Christiana was brought up in a Quaker family. She is a counsellor and her career interest has been in facilitating emotional growth in others. Course finishes on Sunday 1.00pm with a cooked lunch.